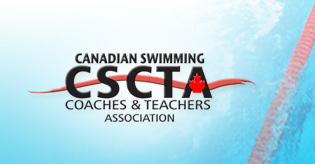 The head coach of the Richmond (BC) Rapids Swim Club, was chosen from a group of candidates through a nationwide application process. “I’m pretty excited,” said the 41-year-old Richmond native. “I’m hoping to bring lots of energy and maybe a few new ideas. ”Pettifer has coached Parapan Am Games medallist and Paralympian Jonathan Dieleman and 2016 FINA World Championships (25m) team member Nicolaas Dekker. He says he’s known for being well-prepared and detail-oriented. “He’s proven himself to be a thoughtful and well-prepared leader,” McDonald said. “He’s taken the initiative to get engaged in many coach development opportunities and in those opportunities he’s taken full advantage to improve himself as a high-performance coach. ”Swimming at the Games is set for Aug. 6-10 in Lima. Canada will select its team at the Canadian Swimming Trials April 3-7 in Toronto, choosing up to 20 swimmers not selected to the FINA World Championships or World Junior Championships. The team will be made up of athletes focused on achieving podium results and who will have the potential to impact the Olympic team in 2020 and 2024.